Getting my feet back down to earth has not been easy. 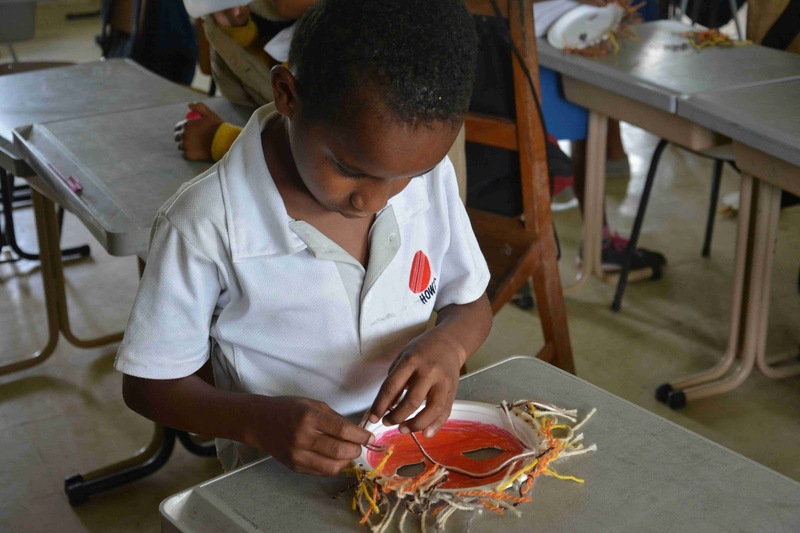 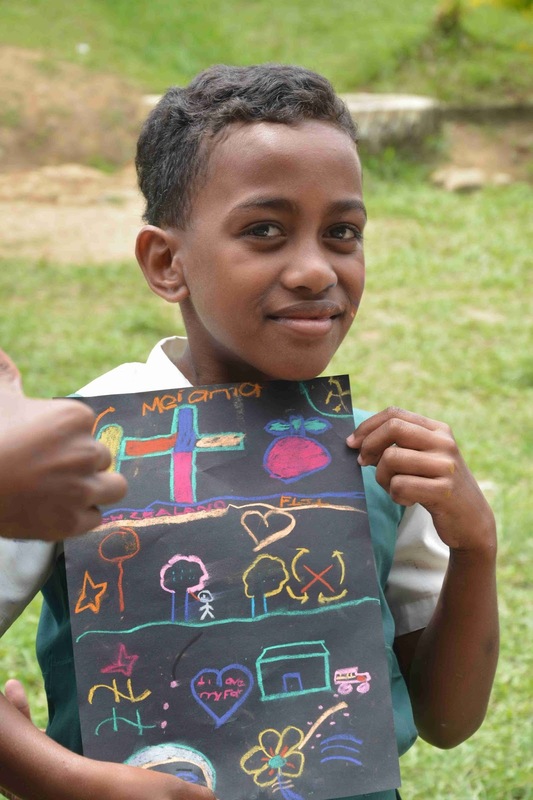 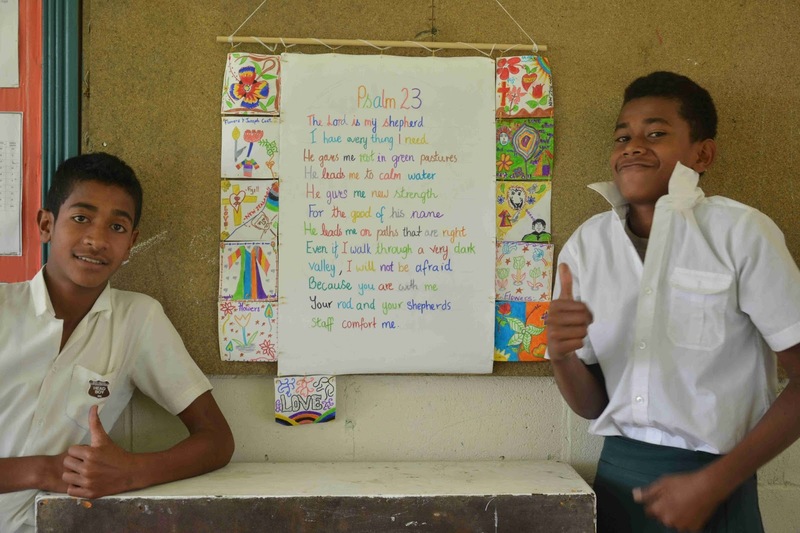 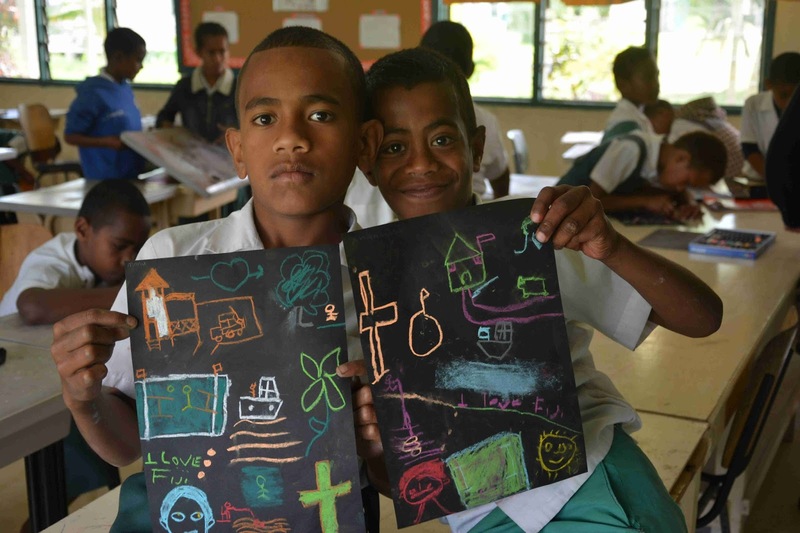 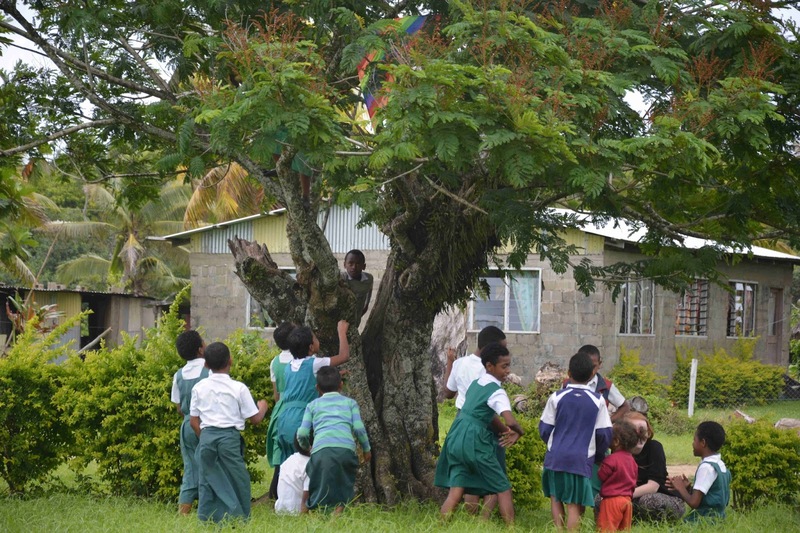 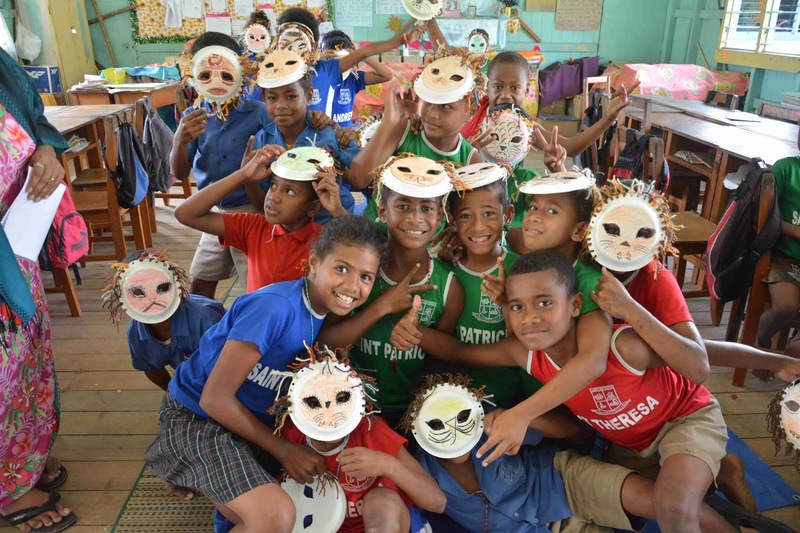 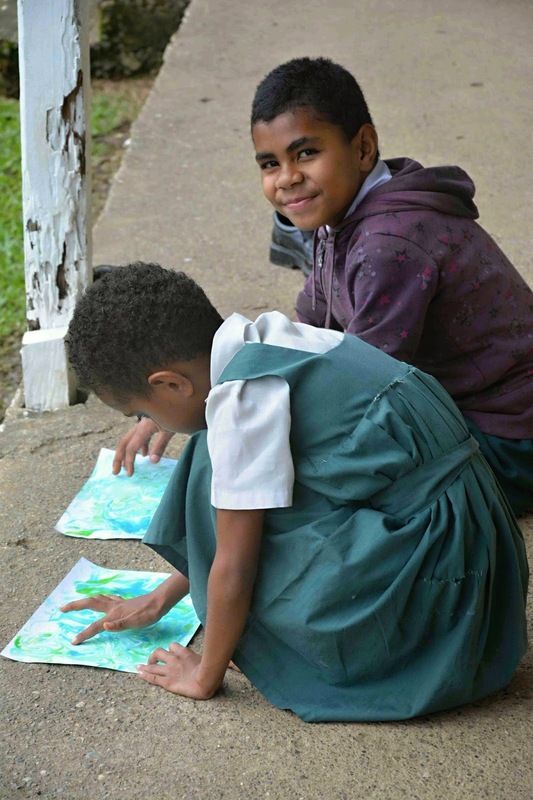 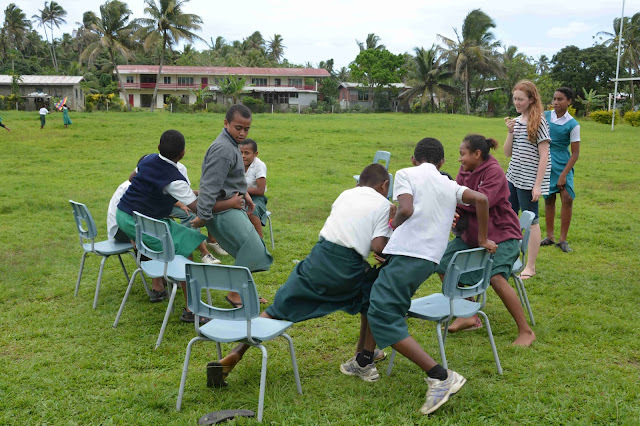 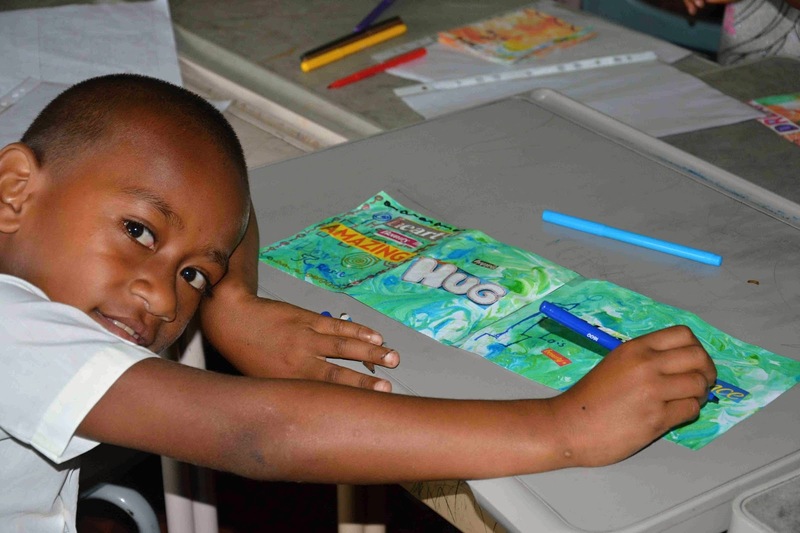 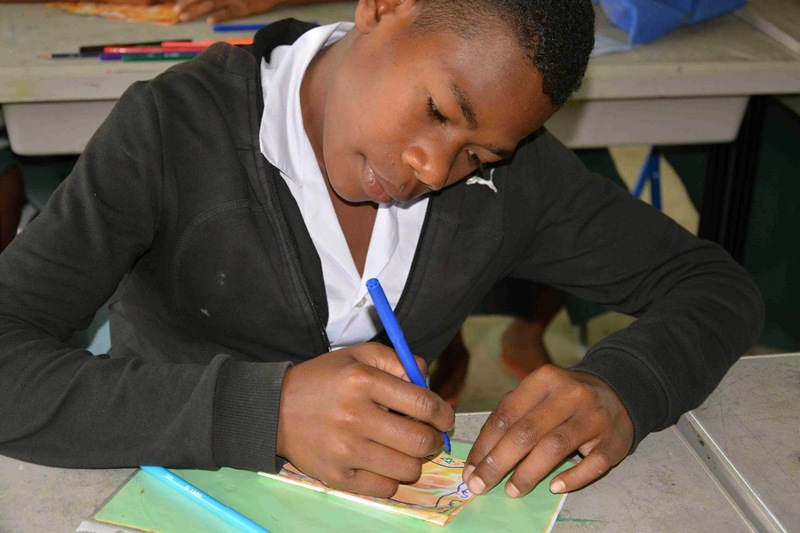 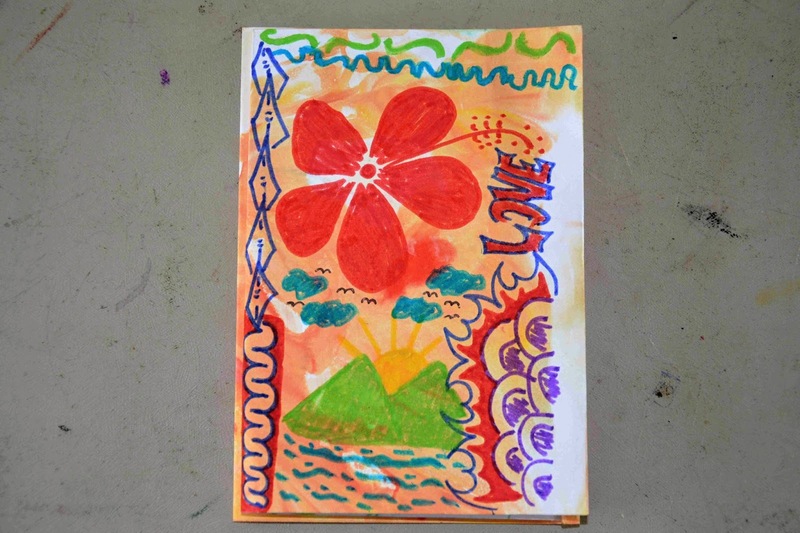 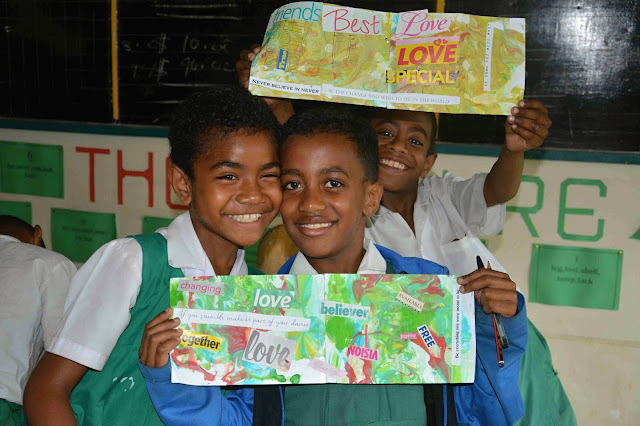 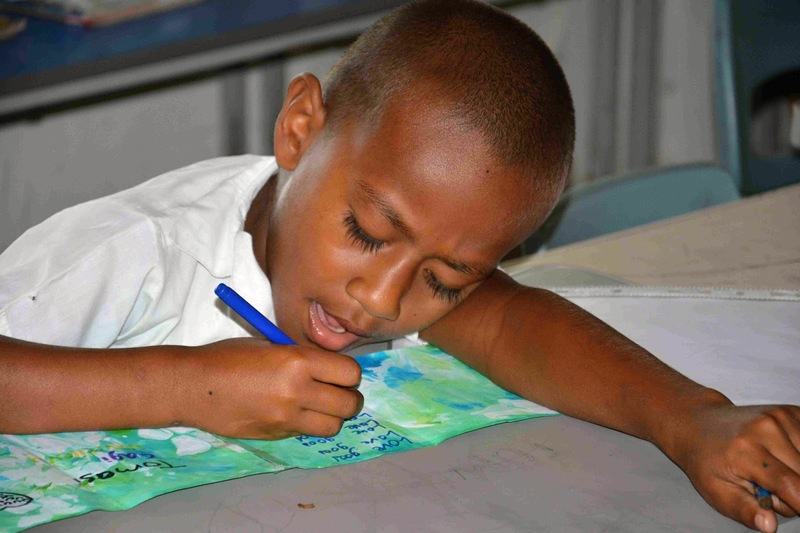 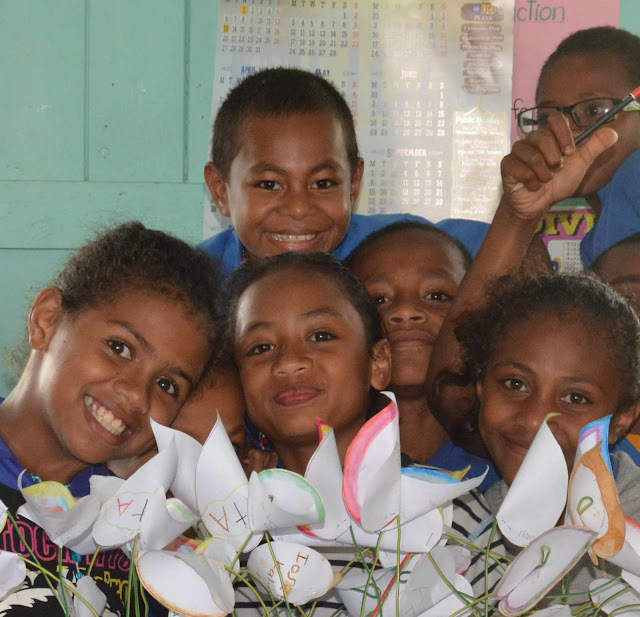 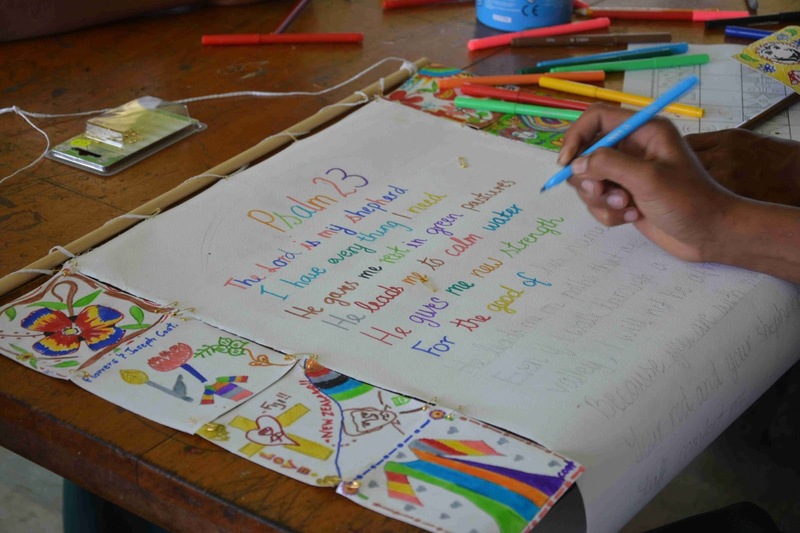 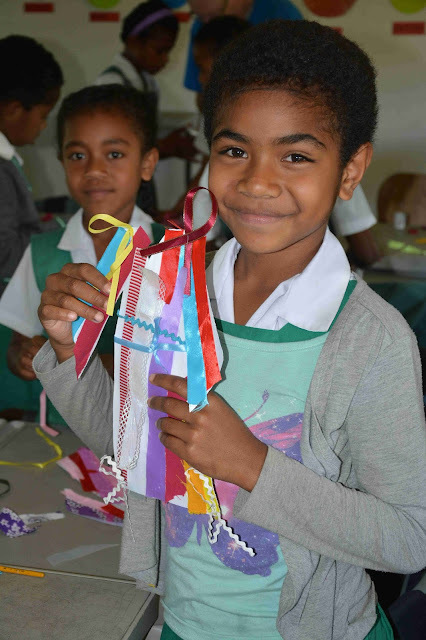 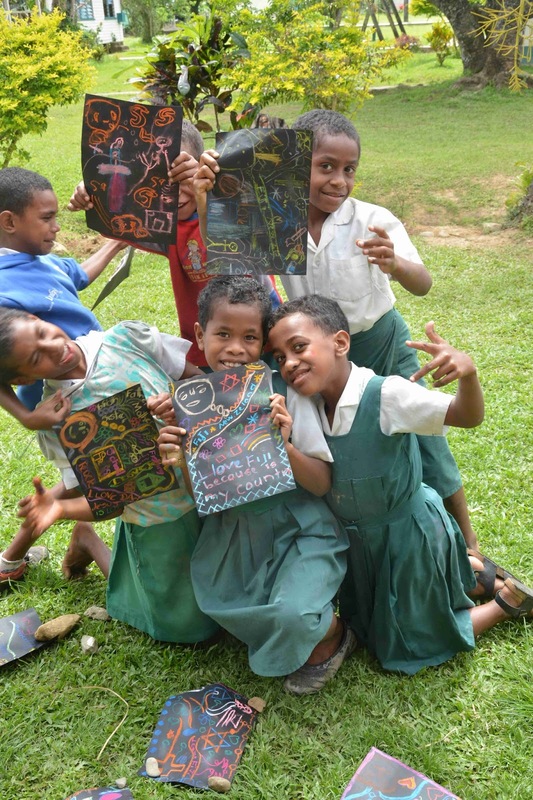 I am just back from my 4th trip over to Fiji where I have had the honor of teaching art in a couple of village schools. 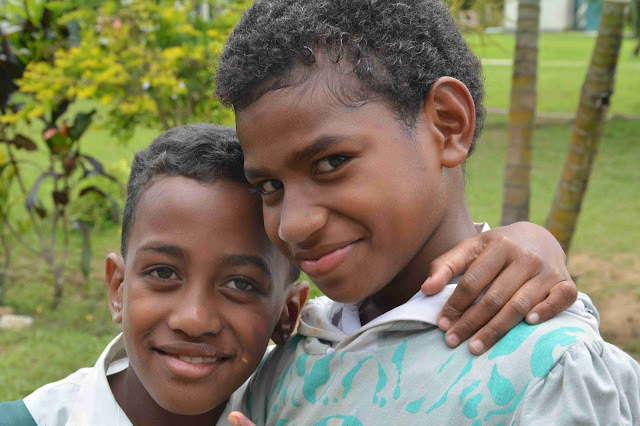 As always, I have come back feeling overwhelmed at the love and joy of the Fijian people. Their welcoming spirit made me feel like I belonged, even though it was a fleeting 2 weeks. 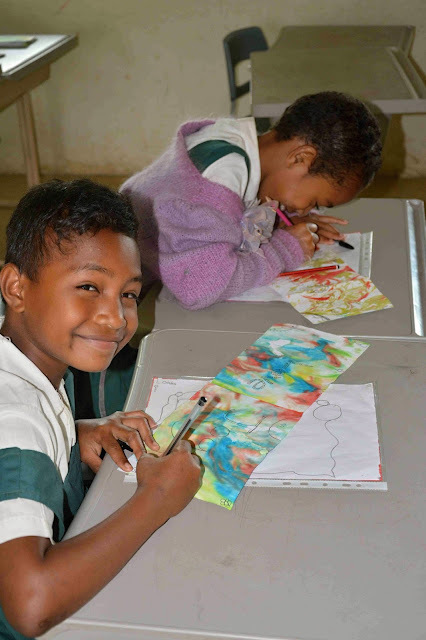 The children's laughter and vibrant smiles bring joy to a world with little in the way of material provision, things that most of us take for granted. 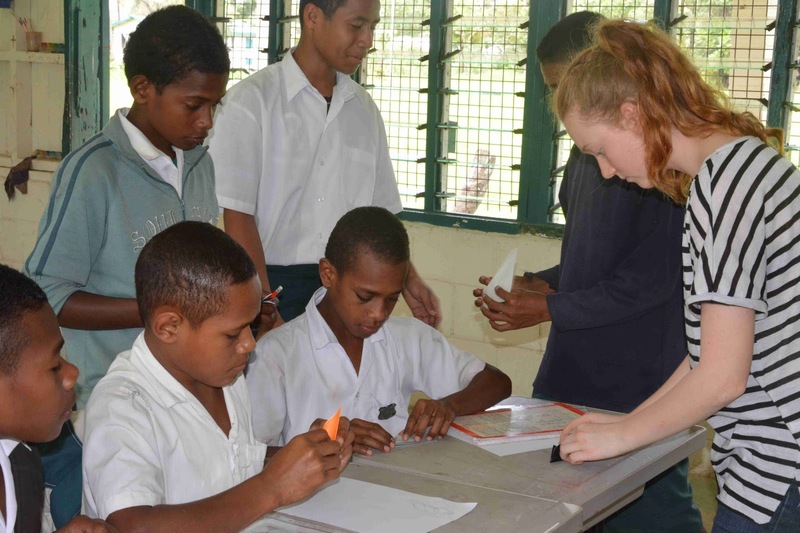 Their eagerness to learn is incredible. 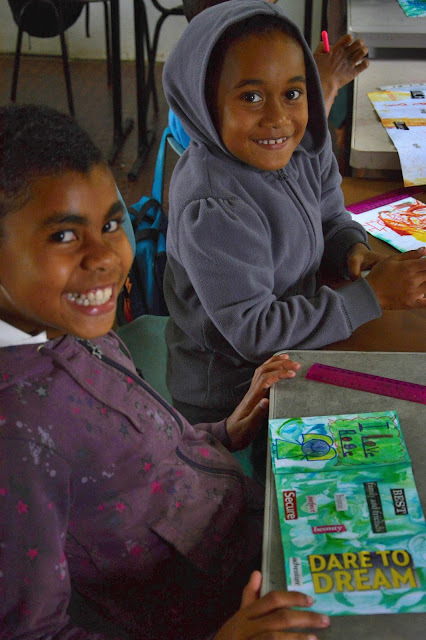 They soak up every word and can hardly contain themselves with excitement as the art making begins. 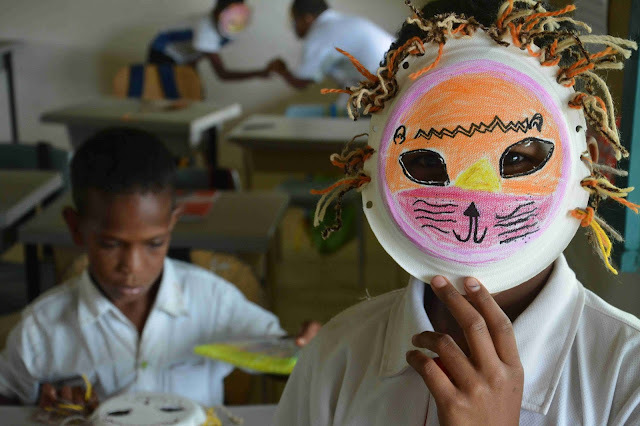 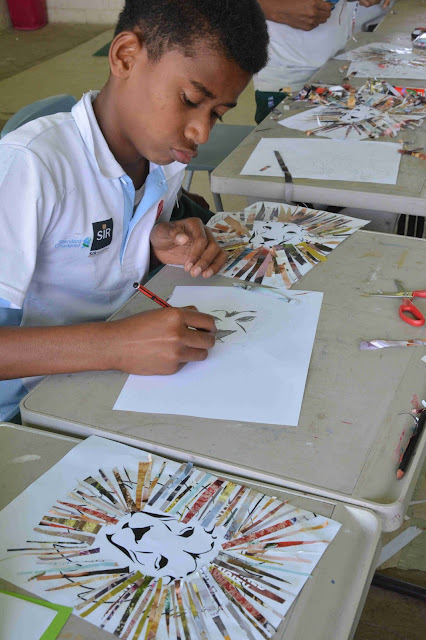 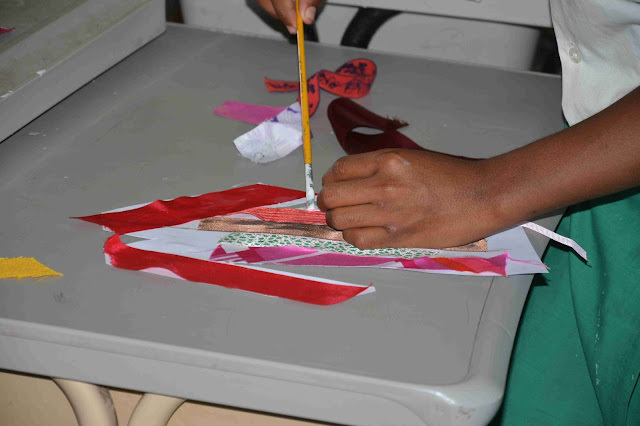 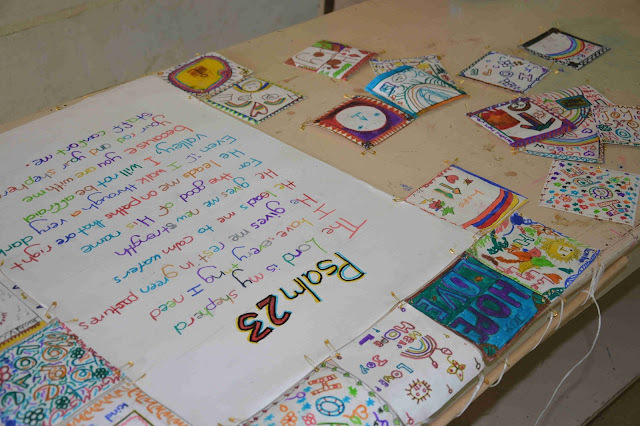 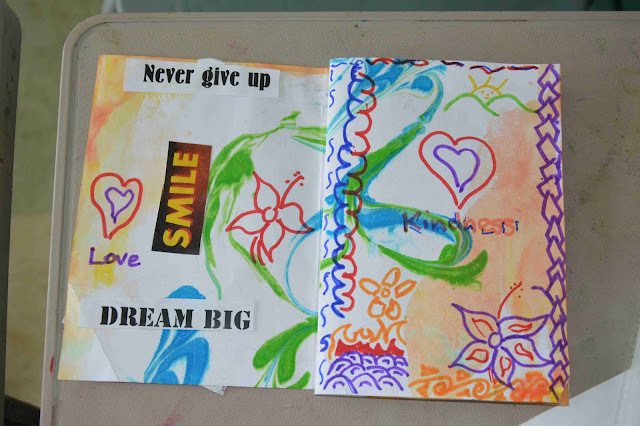 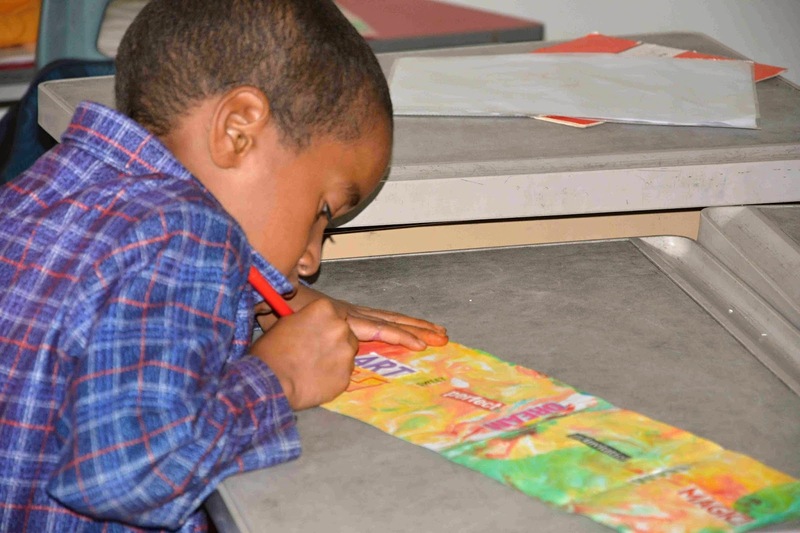 All our art activities revolved around this years theme of 'Hope' and covered art techniques and crafts for the children's ages ranging from 6 to 14 year olds. 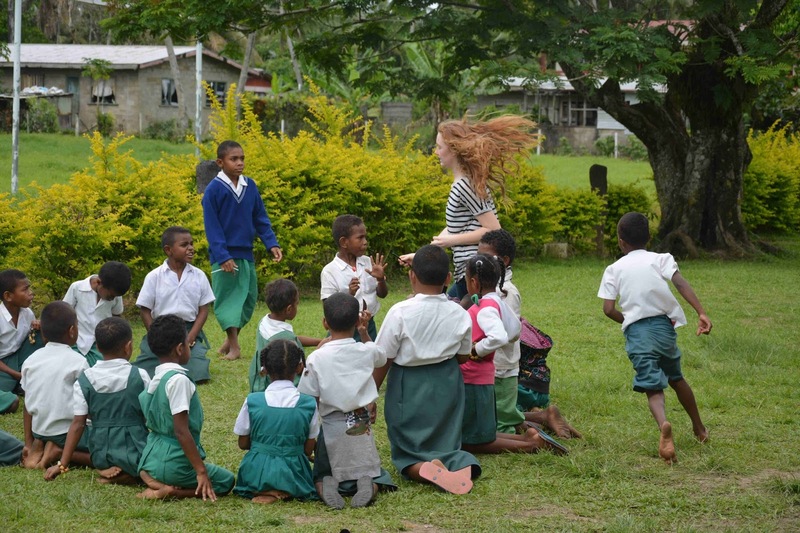 I hope the following photos gives you some idea of the amazing time I had. 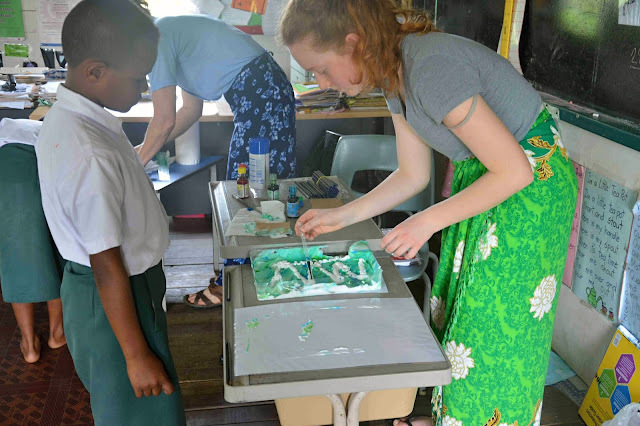 We taught 'marbling' art using household items of shaving cream and food coloring, and incorporated it into little hope booklets. Something they can keep safe and bring out on days they might be in need of encouragement. My daughter Rosie introducing the big kids to origami. 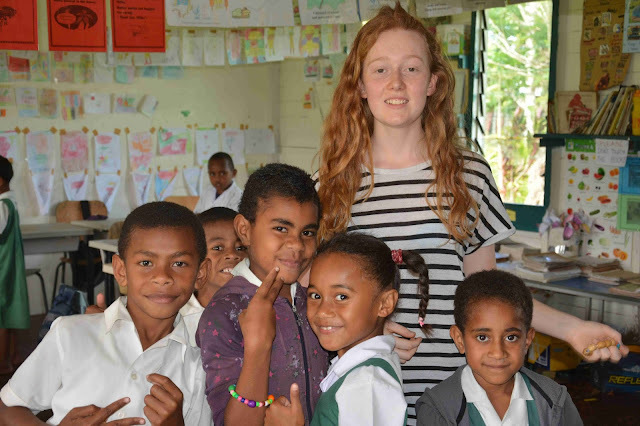 I had to borrow her from her own class cos I got stuck! Making lion masks was very popular! Nimble fingers meant no problem threading wool. 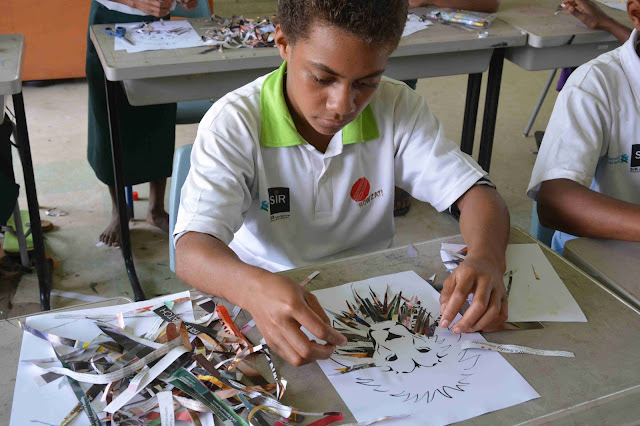 And collaged lions for the older students. 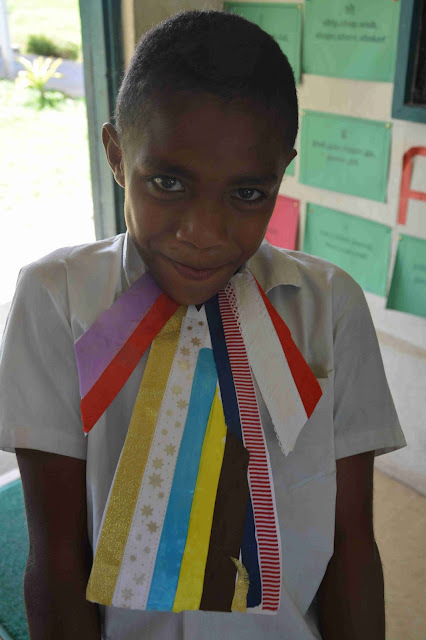 Josephs colorful technicolor coat with ribbon and fabric. 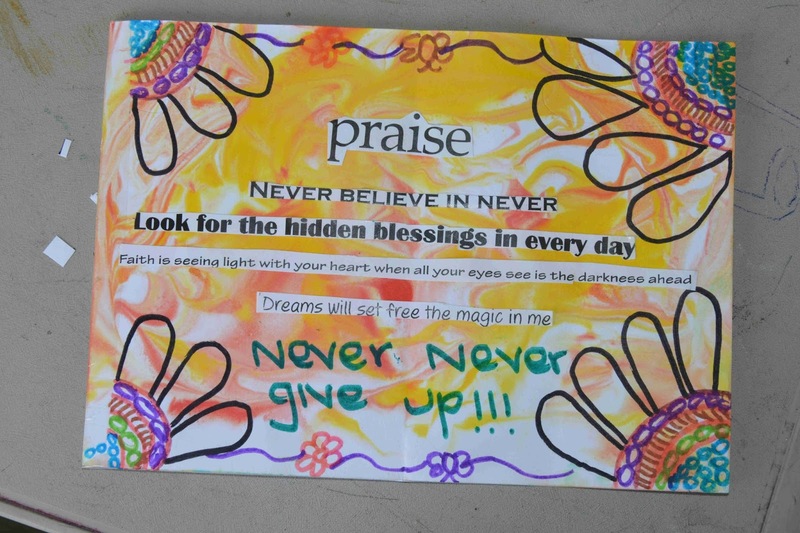 A collaborative banner for the classrooms, with artwork of their favorite takeaway from our time with them. 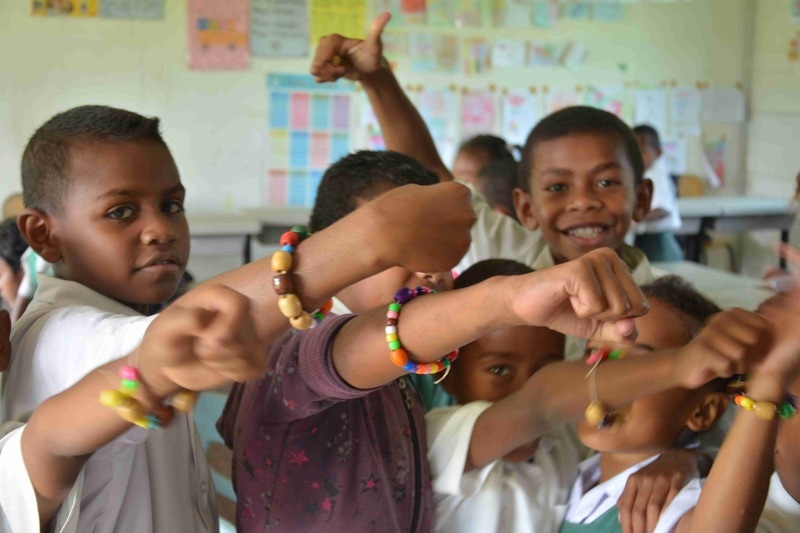 showing off their newly made bracelets. 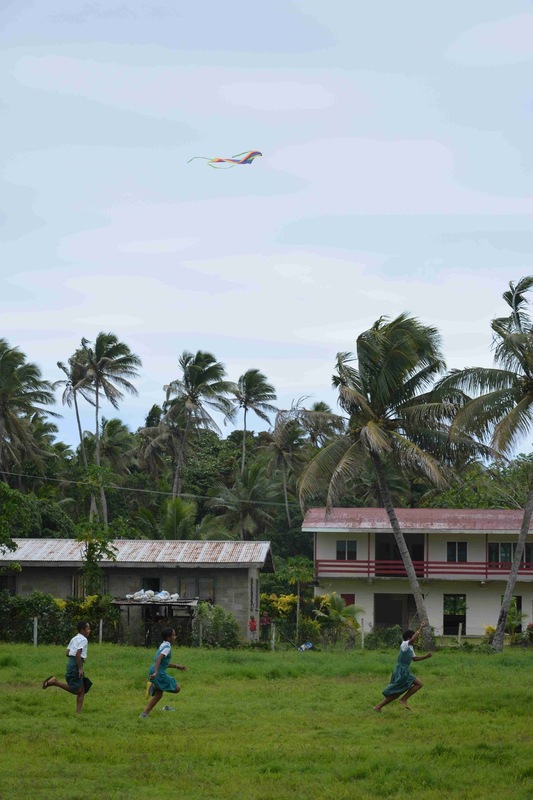 and never having enough of outdoor games. 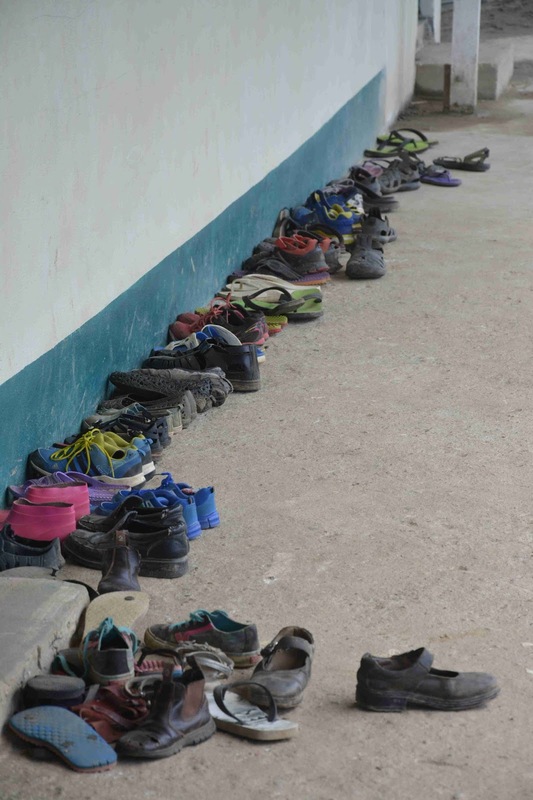 After all that, shoes off to keep the classroom tidy. 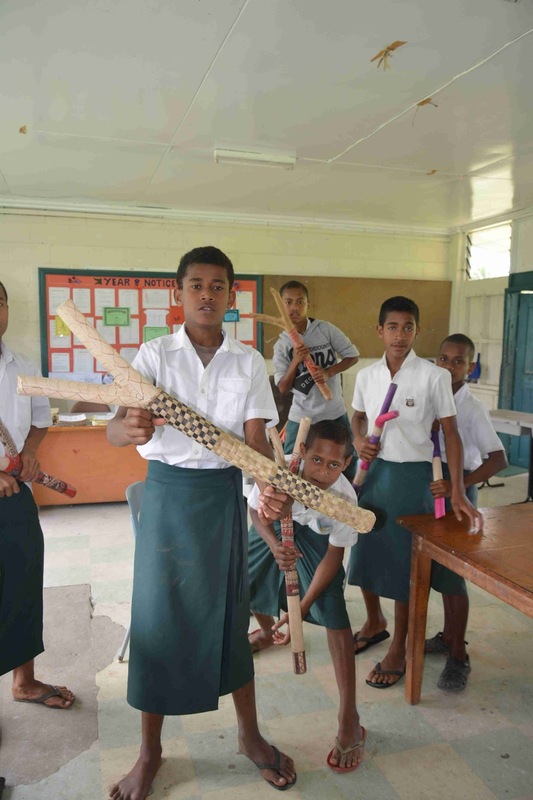 The boys showing off their amazing craft skills with traditional weapons. 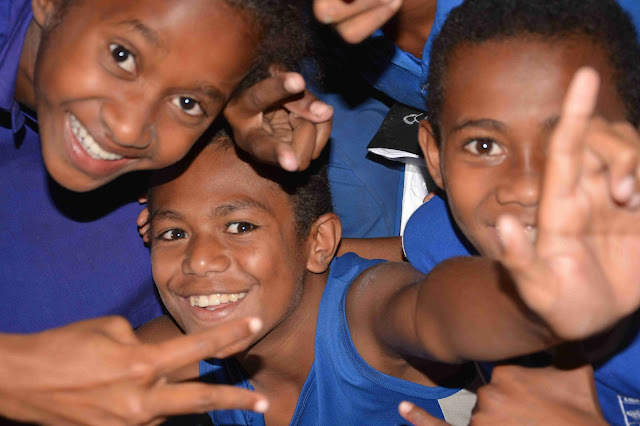 And here is a video that shows off these kids amazing singing. 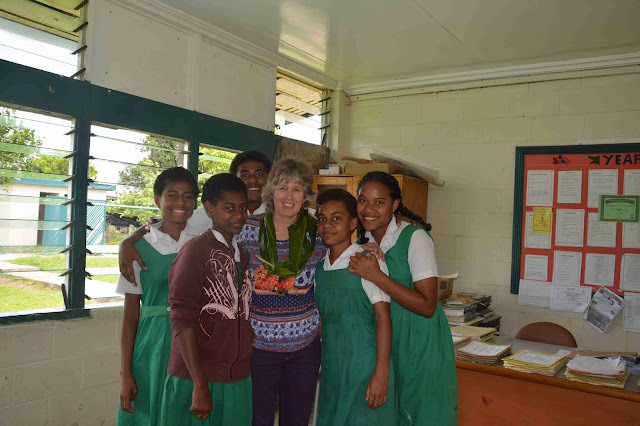 A very special farewell for me. 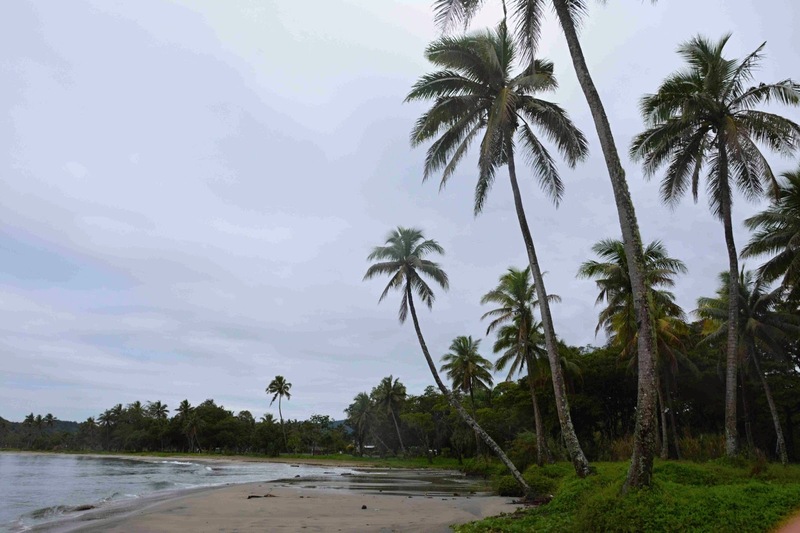 Look out for my next post showcasing the beautiful surroundings of Fiji. 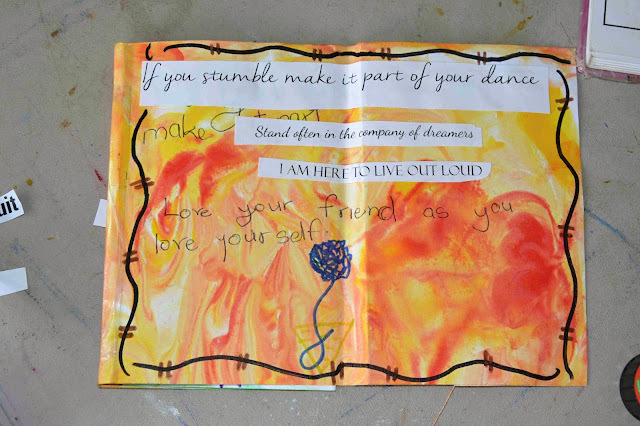 You can sign up to my newsletter here to be notified.